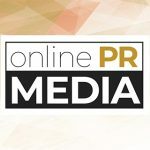 Online PR News – 29-July-2009 – – For a Virtual Assistant (VA) or a business owner looking to partner with one, the diverse waters of Virtual Assistant Certification can seem clouded. Virtual Assistants and potential clients alike have wondered what a certification really entails and which qualifications mean a VA has the skills he or she claims. Now the waters have begun to clear for some Virtual Assistants and their clients, thanks to a global effort by industry leaders and specialists. VAcertified.com, the first international organization to offer a universally recognized Virtual Assistant Worldwide Certification, is proud to announce the first virtual assistants from around the world to become VAcertified: Terence Kierans of Australia, Dawn Lane of the United Kingdom, Crystal Burkholder of Canada and Terry Green of the United States. The groundbreaking Virtual Assistant Certification was launched in May 2009 after Tawnya Sutherland, founder of the world's largest network for Virtual Assistants, brought together 13 industry leaders from the four corners of the world to develop a metric that would gain business owners' confidence in the skills of certified VAs . Sutherland states, "No matter how much you research a Virtual Assistant, there still remains much guesswork in determining if that VA is truly the experienced, skilled professional he or she says they are. VAcertified.com provides a universal benchmark that takes the guesswork out of finding the professional VA you need." The first Virtual Assistants to become VAcertified demonstrate that this truly is a worldwide certification for Virtual Assistants of diverse backgrounds. They each agree that VAs who want to elevate their status and be universally recognized as the business professionals they are should consider applying to becoming VAcertified. Terence Kierans of Cyberspace Virtual Services in Australia states, "I am proud and honoured to be the first to receive this. I urge all those working in this virtual community to submit details of their qualifications and experience so that they too can proudly display proof of VA Certification. By doing this we will show the world that we are more than hobbyists - we are business professionals and can prove it." Dawn Lane of Your Office Online in the United Kingdom states, "I am absolutely delighted to be amongst the first world-wide, and the first in the UK, to be recognised by my industry as having met the global benchmark set by this certification. This certification programme will give business people the confidence that the VA they are collaborating with is the best there is, and who has the skills and experience to bring their business the administrative assistance they are looking for without the risk of hiring an unknown entity." Terry Green of Fastype VA Services, Inc. in the United States says, "I am thrilled to be among the first Virtual Assistants to be VAcertified. I believe that being VAcertified will be a clear indication that the Virtual Assistant has the qualifications and experience necessary to be a qualified VA; especially since the certification is approved by a group of our peers that know what it takes to be an excellent VA."
You can follow ( @ ) VAcertified on Twitter and be the first to know when new VAcertified Virtual Assistants are announced. VAcertified.com is the go-to resource for Virtual Assistants who want credible, unbiased and international recognition for their skills, education, professional experience and industry contributions. Devoted to creating and growing a certification program that embraces diversity, VAcertified.com strives to enhance and evolve professional relationships between VA and client. Follow ( @ ) VAcertified on Twitter for up to date information about this worldwide certification program for Virtual Assistants.